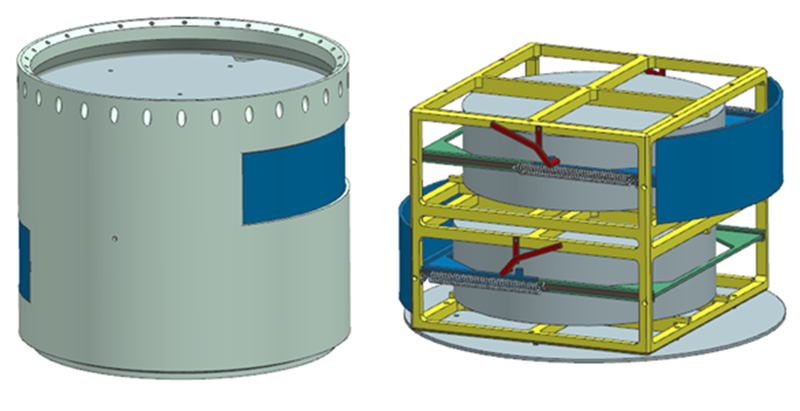 We are now between Preliminary Design and Critical Design Review (due for June)… which means that it is time to come up with our final design of the ejection system! 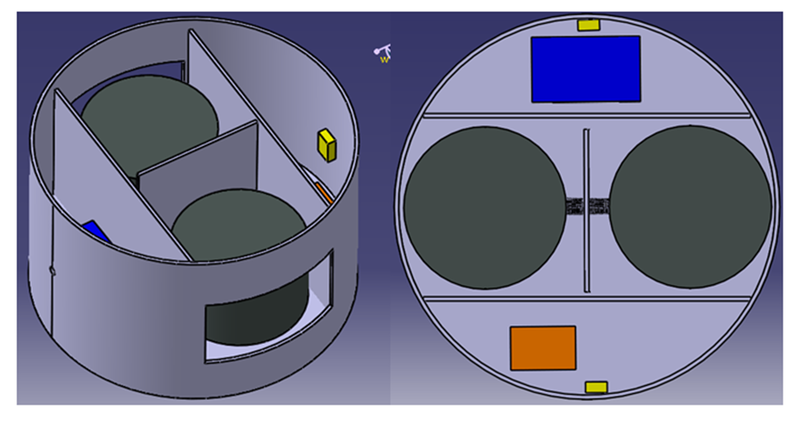 As my fellow team members have nicely designed two 240 x 80 mm ( diameter x height) FFUs, it is now my duty to fit them in the RMU (348mm inner diameter / 300mm height) along with the ejection system, the sun sensor, the umbilical connections and all the electronics (please refer to Jorge!). 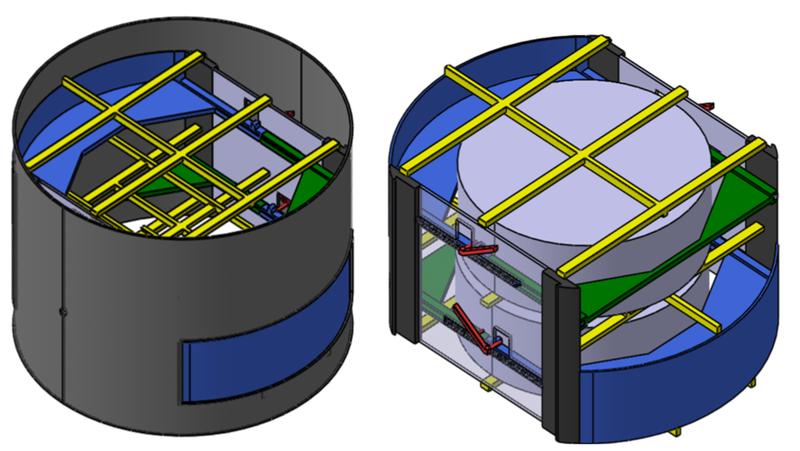 Basically, I have to IKEA-style put a lot of components in a not-so big REXUS cylinder module. The attempts to find the perfect solution started some months ago…as it is always nice to have a look at the evolution of a system, you may find on the following pictures the main steps of the ejection system development, from the “full of mysterious unknown boxes” to the “now we are talking”state. 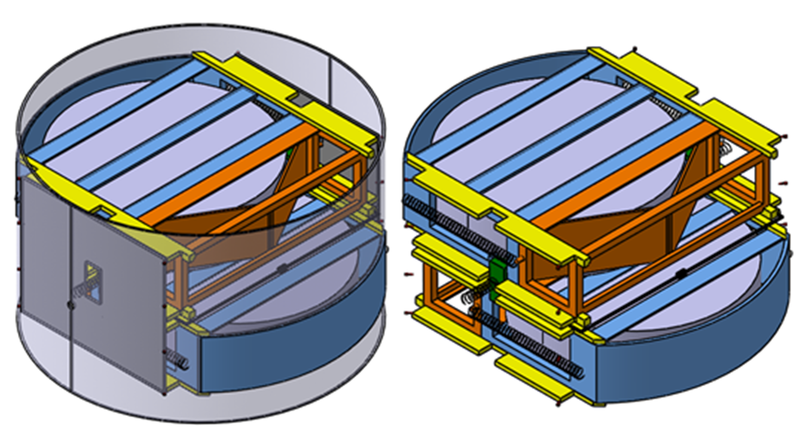 PDR – February 2013: structure is lighter, the hook systems is now self-disengaging, the FFUs are centered on the same axis to improve the balance of the ejection. The current ejection system still needs a lot of improvements. The main challenge, among many others, is to eject the FFUs at the same time (balanced ejection) using a pyro cutter. Wish us luck and wait for the final pictures in a few weeks (I hope).